The Ocean by Olivier Bellin has a special surprise for brides and grooms-to-be. 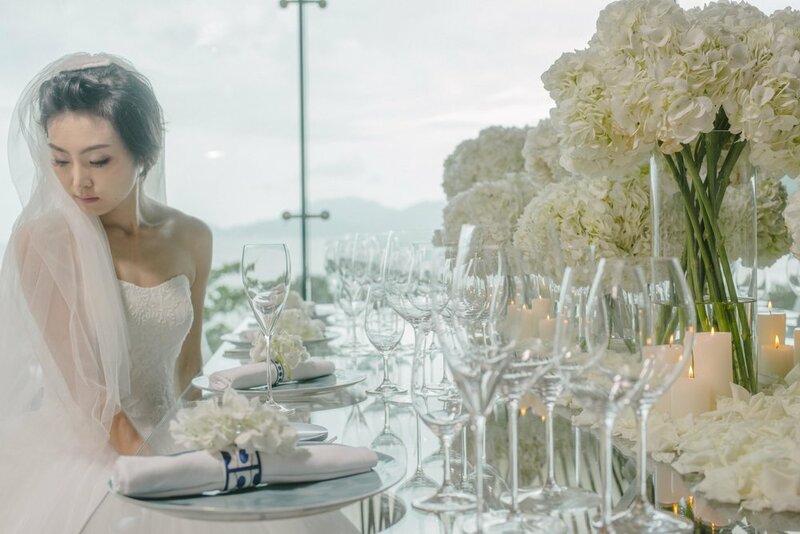 The fine-dining restaurant located in mesmerizing Repulse Bay, one of the most romantic spots in Hong Kong, is offering the winning couple, who shares the most romantic story, a complimentary wedding banquet valued up to $200,000 – a perfect start to a lifetime of happiness. Please ‘Like’ The Ocean by Olivier Bellin FB page on social media to be eligible for the competition. All applicants are required to submit their application, including the couple’s full names, HKID numbers (first three numeric digits), love story and at least 5 pre-wedding photos to belinda.lin@rubison.com.hk from now to 30/10/2017. A complimentary wedding banquet hosted by The Ocean by Olivier Bellin for up to 80 guests (on specific menu) to be redeemed on or before 30 September, 2018. * Includes a choice of floral centrepieces for each dining table and reception table, as well as bespoke floral arrangements for the head tables. Tentative bookings will be held for maximum of one (1) month. A refundable deposit is required to confirm all booking. A 15-day notice is required for cancellation prior to the event and will be subject to a cancellation fee. An extra charge applies for the Basic Wedding Cake or Deluxe Wedding Cake. All extras to be charged at a la carte price plus 10% service charge. Menu is subject to change due to seasonality. Corkage fee for wine and spirits applies. The winning couple is to authorize the use of their photos and video taken during their wedding banquet for Le Comptoir Limited marketing promotional activities. In case of disputes, the decision of Le Comptoir Limited will be final.